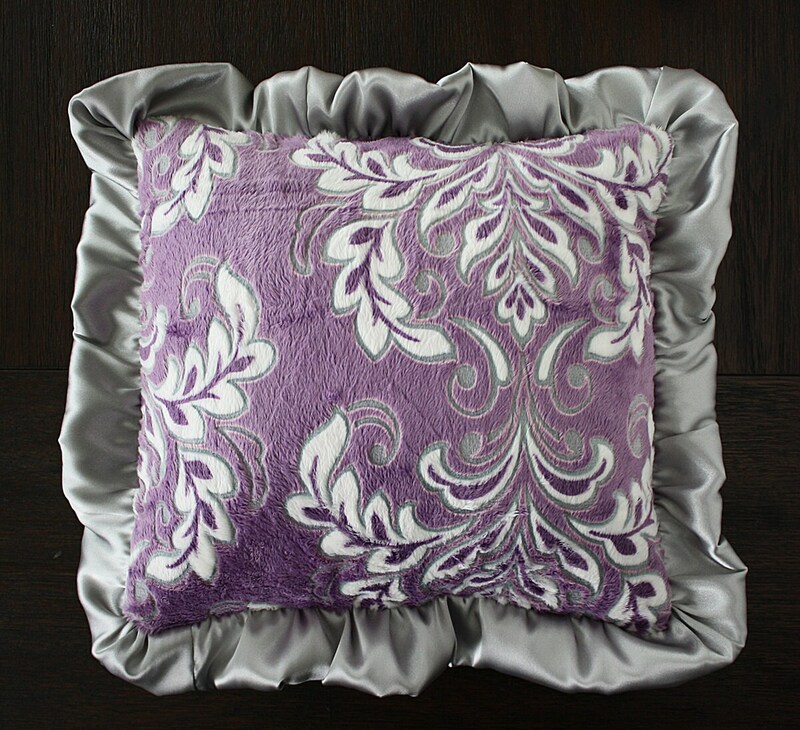 These nursery pillows measure 12" x 12" and are made of soft minky and finished with a silky satin ruffle. You may choose any minky I have in my shop to make your pillow in! You may specify minky desired in the notes at checkout.